You are a sportsman, competing in the Summer Games. You may show the world your skills in 10 different events. There is Rowing, 100m Sprint, Cycling Race and Archery and competition of up to 8 people! You can also prove your versatility in different kinds of sports like Hammer Throwing, Long Jump and High Jump. 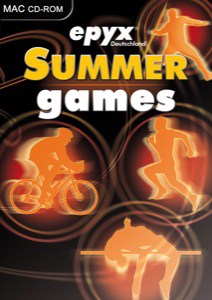 Summer Games offers a modern look as well as a classic retro look of the 80's. Play alone against the computer or with up to three friends in multiplayer. You may pick between countries, starters, difficulty levels and the controls are freely configurable for each player, it doesn't matter if you prefer to play with keyboard, with mouse or joystick. Detailed statistics for training and competition show where you need to improve and where you already shine. Get into your sneakers, grab your keyboard or a joystick and plan your strategy to break all records and get your medals!